By buying this product you can collect up to 59 points . Your cart will total 59 points that can be converted into a voucher of ₱59 . 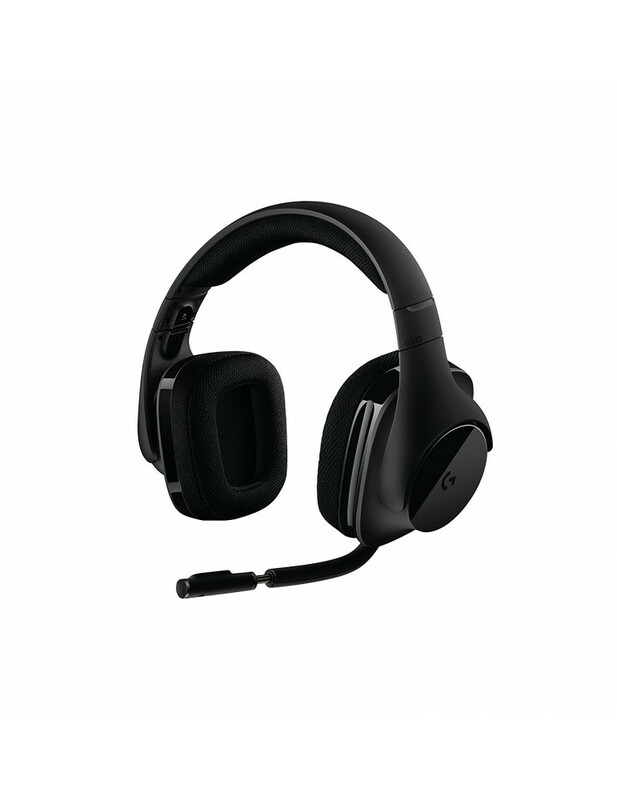 G533 features Pro-G audio drivers and DTS Headphone:X 7.1 Surround technology with the remarkable ability to recreate the in-game environmental effects and positional audio game designers intended you to hear. So you hear the enemy before you see them. Get up to 15 meters range with lossless digital audio transmission and up to 15-hour battery life. DTS Headphone:X technology accurately replicates the 7.1 speaker placement and positional audio that game designers intended you to hear. You can even tune the volume levels for each of the 7 audio channels—for example, to amplify game sounds coming from rear channels to hear what’s behind you. * Rechargeable batteries have a limited lifespan and a limited number of charge cycles. Integrated micro pop filter reduces popping and breath noise to help ensure clear communications and reduce unwanted noise. Our innovative pop filter means you get the same performance benefits of a traditional foam ball but in a micro, fully integrated design.